Bowflex Xtreme 2 SE is the result of numerous improvements on the original Xtreme model, including two additional positions on the lat stand as well as four additional positions on the squat station, so you can work your muscles even harder. From head to toe, the Bowflex Xtreme 2 SE will change your body, and get you into the best shape of your life. with $200 Off Plus FREE SHIPPING! Bowflex Xtreme 2 SE is perfect for users who prefer starting with the standard essentials in an exercise machine, and can always upgrade or add-on later. This model delivers results, and it won’t break your budget. You can personalize your plan with this machine to work with your busy life. The key to getting and staying fit is maintaining it, and you can achieve your goals with this home gym. Compare the Bowflex Xtreme 2 SE with the other systems in the Bowflex family of exercise equipment. Bowflex Xtreme 2 SE gives you over 70 Bowflex exercises to choose from, and you can do all of them without causing your joints to ache afterwards. The smooth, gliding motions are safe and effective, so you can stay focused on your workout without being distracted by any pain. No-Change Cable Pulley System quick and easy transitions to target different muscle groups. The new and improved Xtreme 2 SE features a shoulder band for more effective core crunches, as well as a deluxe padded seat for added support and comfort while achieving your fitness goals. Also, the enhanced design eliminates any cable adjustments, so you can shift easily from one workout to the next. This model also comes with a 210 pound weight capacity, providing strength training and resistance, without the risk or safety issues associated with free weights. The movements are stable and controlled, so you can isolate your targeted muscle group for an amazing workout. A 7-year guarantee comes with the Xtreme 2 SE model, so if anything should happen to your machine, you are covered! 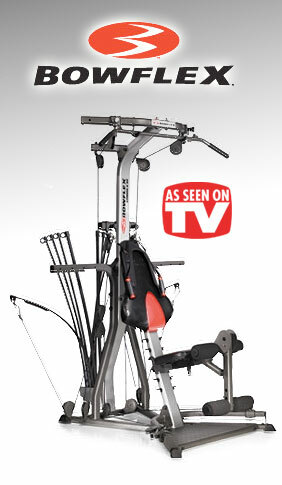 The Bowflex Xtreme 2 SE is a superior product, and Bowflex stands behind each and every one. Your satisfaction is guaranteed! Just purchase your machine (direct from Bowflex) and workout for up to six weeks. If you’re not 100% satisfied with the results, simply contact their customer service department for a Return Authorization, return the machine (including any accessories) in its original condition and packaging to receive a full refund, less shipping & handling. Item must be received no later than 2 weeks after your return authorization is given. Take advantage of this impressive machine that will work for YOU. Order your Bowflex Xtreme 2 SE today to start feeling great about your body and fitness. We received our Bowflex within a week of ordering it which was a nice start to a great overall experience. Getting it put together was a little tricky at first but a call to Bowflex's customer service was really helpful in handling that. My wife and I have both been using it religiously for a month now trying out various exercises and such and we're definitely keeping it. The power rod system works really well. It's a smooth resistance that doesn't punish your joints. We've also experimented quite a bit with the various cable and pulley positions and found that they offer a lot of versatility for individual preferences. One final thing that really impressed us. You can tell Bowflex really takes pride in their equipment by offering their 6 week guarantee. That was a big factor in our decision to order our Xtreme 2 SE. Two thumbs up from both of us. I love being able to workout at home any time I choose! IMHO my Bowflex is superior to the equipment at the gym where I used to workout. The power rod system really works well for me. No more time consuming weight switching when switching exercises. I'm able to get a great workout in less time. I had no trouble at all getting it put together either but I'm good with that sort of thing. I heartily recommend the Xtreme 2 SE to anyone looking for serious but affordable home gym. It's designed for solo use so no need for a spotter or partner. Power rods instead of free weights. Power rod resistance system is very smooth compared to free weights so it's easy on my joints. Changing exercises is pretty quick. Impressive build quality - very sturdy. Did I mention no free weights to mess with? While not excessively noisy I wouldn't mind if it was a little quieter. I hadn't worked out in a while and decided to break that bad habit and start a strength training regimen. After researching numerous brands and gym models I decided to go with the Bowflex Xtreme 2 SE. It offered the features I was looking for and I liked the idea that they offered the 6 week satisfaction guarantee. After using it for 2 weeks I'm sold and completely satisfied. It's very versatile and I can do every type of exercise that I was wanting to do on a home gym. It's also very solidly built which is a real plus in my book. This is such a great solution for working out solo. The power rod setup makes it much more safe than free weights. They make it much easier to switch between exercises too. It's really a pretty neat idea that makes for a great fitness product. I've got a bad back so I needed a fitness system that wouldn't aggravate it while still offering me a good workout. The Xtreme has worked really well in that respect. I'm getting a great workout and it's easy on my back. I think a lot of that is because of the power rod resistance system. Whatever the various factors it works for me so I'm happy. This is the best home gym I've ever used and I've worked out on quite a few. I love how quiet it is, no more clanking weights! I'm really impressed with the versatility of the Xtreme 2 SE. There's a wide variety of exercises I can do on it that range from those geared toward general toning and weight loss to exercises designed for pure muscle building. It really offers the best of both worlds - weight loss and strength training, Bowflex really knocked it out of the park with this gym. Switching exercises is a breeze thanks to the awesome power rods. I don't miss free weights one bit! After 2 weeks of giving my Xtreme2 a thorough workout (yeah forgive the pun) I cancelled my expensive gym membership. Between the membership fees and gas to get there this Bowflex is paying for itself. On top of that in my option the quality of the Xtreme2 is better than the equipment I was using at my gym. Pretty much win-win for me! I love this gym, it's easy to use and I get an incredible workout. Changing the power rods is easy and quick so there's very little downtime between workouts. It's really quite an ingenious design that Bowflex came up with.